Feast on fresh lobsters, steamed clams and snow crab while taking in the refreshing sea air at the Belliveau Cove Wharf along St. Mary’s Bay. Locals and visitors alike love this experience for its informal atmosphere and delicious seafood. The locals freely offer to show visitors the “real” way to eat a lobster, while exchanging stories and laughs. Live local music by Musique de la Baie. Every Friday evening from 6 to 9 pm, from June 28 to August 30, 2019. Lobster (1 pound). Snow Crab (2 sections, approx. 1.5 pounds. Clams (2 pounds). All meals served with roll and melted butter. Beverages and desserts available ($). No advance purchases. Meals purchased on site. For more information on planning your trip to the area, visit our tourism website. Les Beaux Vendredis is a partnership between La Pointe Seafoods, Belliveau Cove Development Commission, Clare Dodge and Chez Jean. 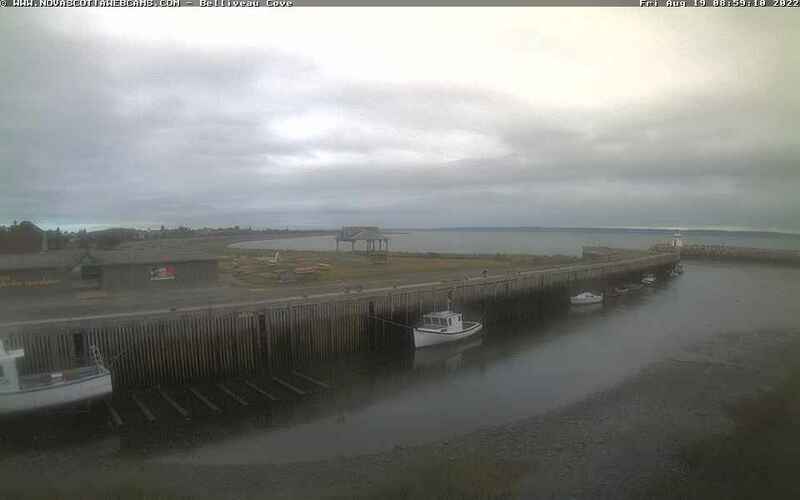 Parc Joseph-et-Marie-Dugas (Belliveau Cove Municipal Park), 3255 Highway 1, Belliveau Cove, N.S.